Ryanair today announced H1 profits (pre-exceptions) rose 37% to €1,088m. Traffic grew 13% to 58m as load factor jumped 4% points to 93%. Average fares rose 2% as unit costs fell 6% (ex-fuel they were flat). This winter Ryanair will open 4 new bases (Berlin, Corfu, Gothenburg & Milan) and 119 new routes including a 4 daily Dublin – Amsterdam route, a 6 daily Cologne – Berlin service, and 3 routes to Eilat Ovda (Israel) from Budapest, Kaunas and Krakow. The airline will deliver double digit growth in Ireland, UK, Spain, Italy, Portugal, Poland, Germany, and in Denmark where our Copenhagen operations (15 routes) will grow by over 100% to 2.5m customers p.a. This winter Ryanair will take delivery of 28 new Boeing 737 aircraft which will take the fleet to 340 by year end, with another 330 on order. These aircraft will deliver with Boeing’s new Sky interiors and slimline seats which will improve leg room. In August Ryanair completed a €400m share buyback and, following EGM approval in October, it will return the €398m proceeds from the sale of our Aer Lingus stake to shareholders in November. When this is complete, Ryanair will have returned over €3.3bn to shareholders since 2008. Ryanair’s balance sheet continues to be one of the strongest in the industry. Its net cash position increased by over €600m over the half year to €976m notwithstanding capex of €482m, share buybacks of €289m and debt repayments of €194m. Ryanair continue to see significant growth opportunities for lower fares and AGB customer offering. 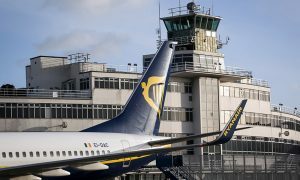 The Irish airline has raised its FY16 traffic target from 104m to 105m customers due to higher load factors in H2 with Q3 traffic set to grow 17% and Q4 by 22%. “As forward pricing has softened in recent weeks we expect Q3 ave fares will be broadly flat against last year, but Q4 fares (with almost zero visibility) will fall by approx. 4%. We expect unit costs to fall by 5% in FY16, while ex-fuel unit costs will be down 1%. 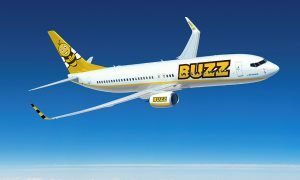 Ancillary revenue, while ahead of our long term target of 20% of total revenue, will track behind this year’s 16% increase in traffic due to a one-time benefit last year arising from the earlier loading of the S15 schedule and the absence of a car-hire partner in July and Aug”, the airline said in a statement. “We have taken advantage of occasional oil price weakness this summer to further extend our fuel hedges to 95% cover for FY17 at an ave rate of $62 pbl. Having already hedged our US$ opex, we expect these hedges to deliver fuel savings of some €430m in FY17. We plan to pass on these savings to our customers in the form of lower airfares particularly as we grow capacity quickly in major markets such as Belgium, Denmark, Germany, Ireland, Italy, Poland, Portugal, Spain and the UK in 2016”. “Customers will also benefit from our successful US$ hedge programme. Our aircraft capex out to March 2018 is fully hedged at an ave €/$ rate of 1.31 which means we will be adding these new Boeing 737-800NG aircraft to our balance sheet at lower euro prices than most of our existing fleet. 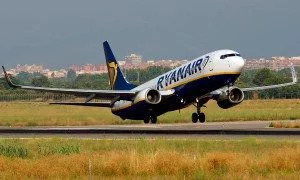 This combination of lower aircraft and fuel costs will enable Ryanair to continue to lower fares and grow market share while extending our unit cost leadership over all airline competitors in every market we fly in Europe”.